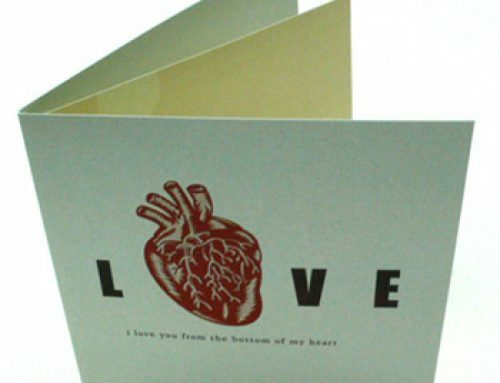 A Wedding invitation is always in flat and in the form of a card. Brides and grooms will usually want to go for something different. 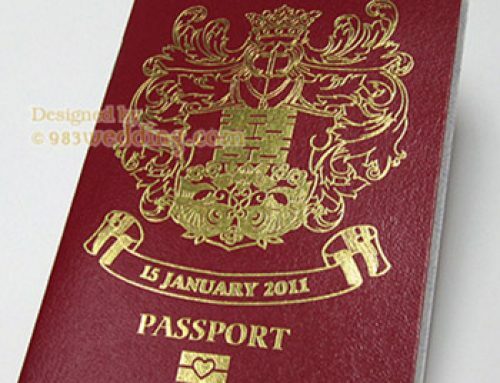 It is in fact possible to think out of the box and create an invitation in a totally different manner. This is one of the ways to do it. Have you ever thought of wearing your invitation and let the world be the witness of the invitation? The print of the Chinese character “double happiness”, in the form of paper cutting design, will be printed on the T-shirt. 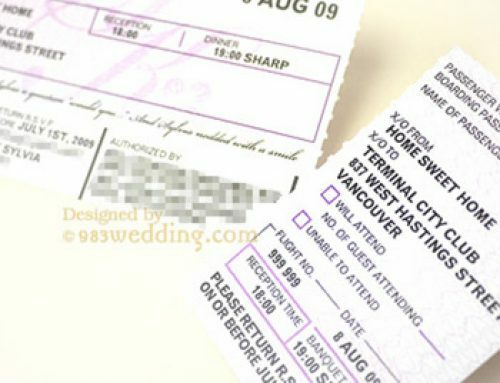 The name of the couple and the wedding date will also be printed. This is to tell your guests about the details of your big day. 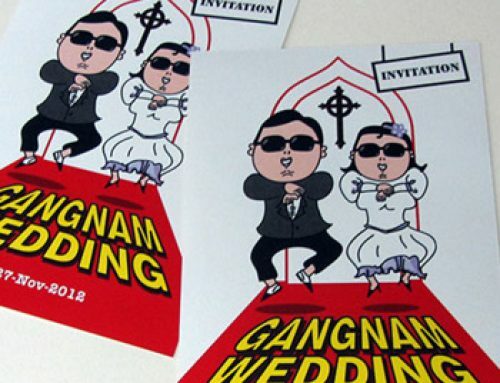 Both of you can wear the “suit” to distribute the invitations to your friends and relatives. Your guests will immediately know about your event when they see you. It can be sure that you would give your friends and relatives a memorable moment with surprise. The main graphic element of the invitation is the double happiness paper cutting pattern with all the details of your wedding. You can use the same graphic element for all your stationery. 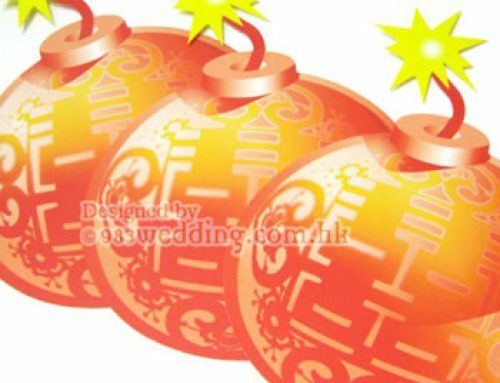 You can even carry the design through all the items such as the wedding favors and the design of the backdrop in the venue. Every time your guest look at your invitation, he or she would be reminded of you two being so bold when you are distributing the invitations. This will also so your love between each other. You are really trying to share your happiness and joy of your big day with your guests when you wear the wedding t-shirt. You do not have to send a tee to every guests. Instead, you should consider the idea of this t-shirt invite if you plan to send the invitations to your guests personally by hand. You will wear this t-shirt when you meet your guests and hand them the invitation. To this end, you may still have to print a simple invitation card to remind your guests all the details and information of your big day. However, it is true that your own gesture, instead the card, is the real invitation for the guests to attend to your wedding! 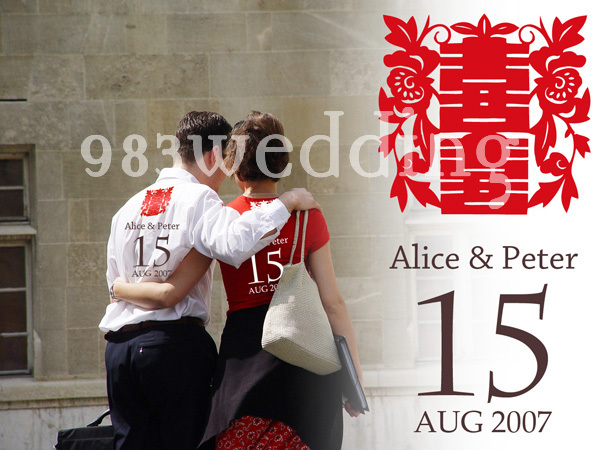 LOVE is forever and long lasting; wedding invitation should be remarkable and impressive. *There is no specific specification for this design. Please contact us to discuss how we can help you to fulfil your requirements.